Here is a lecture by Dr. David Richardson, one of the lead researchers on the INWORKS study (International Nuclear Workers Study) that demonstrated that long-term exposure to very low doses of radiation significantly raised both leukemia and solid cancer rates. The lecture is given in English with simultaneous translation into Japanese. "The initiation of the Manhattan project in 1943 marked the emergence of the discipline of health physics and an expansion of research on the health effects of ionizing radiation. The health effects of occupational exposure to radiation were viewed from different perspectives by different members of the Atomic Energy Commission (AEC). There were those with immediate concerns and a focus on issues related to wartime production and health effects which were definite biological changes which are immediately evident or are of prognostic importance to health. Others had an interest in a more general understanding the effects of radiation on human health, including long term and genetic consequences. There were also managerial concerns, which persist today; Stafford Warren, medical director of the program, encouraged health research to help strengthen the government’s interest in case of lawsuits or demands for workers’ compensation. These concerns motivated a large scale epidemiological program of research on nuclear workers. Beginning in the mid-1980’s, numerous publications on cancer among workers at nuclear facilities appeared, mostly in the US and UK. Risk estimates from individual studies were uncertain, with wide confidence intervals; and, positive associations between radiation and cancer were observed in some, but not all cohorts. To summarize results across studies and improve statistical precision, pooling projects were undertaken. This lecture reviews the history of these pooled studies and then presents results from the most recent, largest, and most informative of these analyses, known as INWORKS. 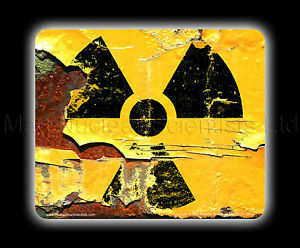 This is a combined study of 308,297 nuclear workers from the United Kingdom, France, and the United States of America. Quantitative results are presented and the strengths and limitations of INWORKS are discussed." 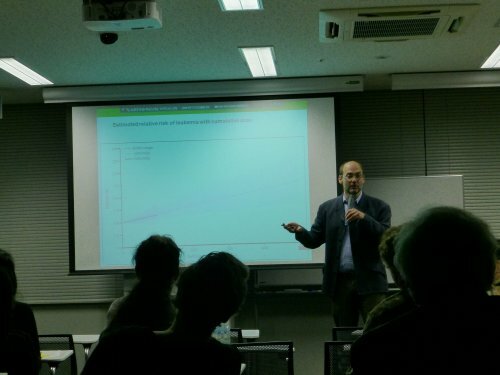 The lecture was held at the Hiroshima Peace Institute, 30 November 2017. For more on the INWORKS study, see this, and this.